There are tears in our eyes we’re so happy to be writing you! Either that or (perhaps more likely) it's allergy season. Either way, it’s always a pleasure to correspond with you: the life-force of the theater. 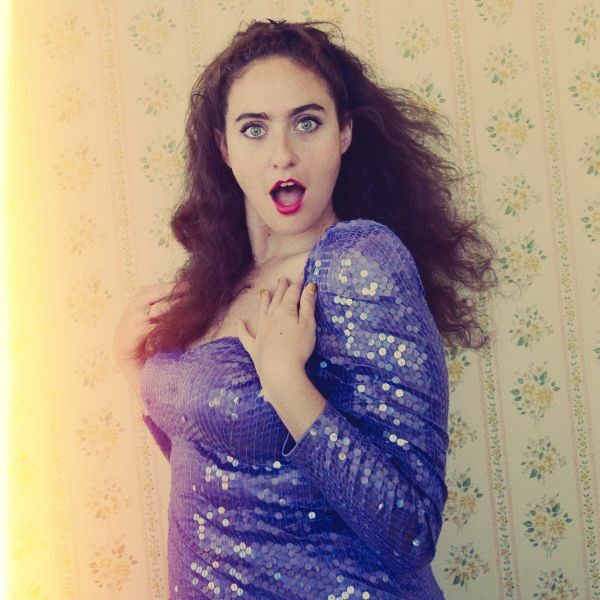 Last week was a great week here, with a dynamite Dynasty Tonight (Riddle: What do SARAH SILVERMAN, KATE BERLANT, JOHN EARLY, FELICIA FOLKES and KYLE DUNNIGAN all have in common? Ans: They are all, like, really funny. ) 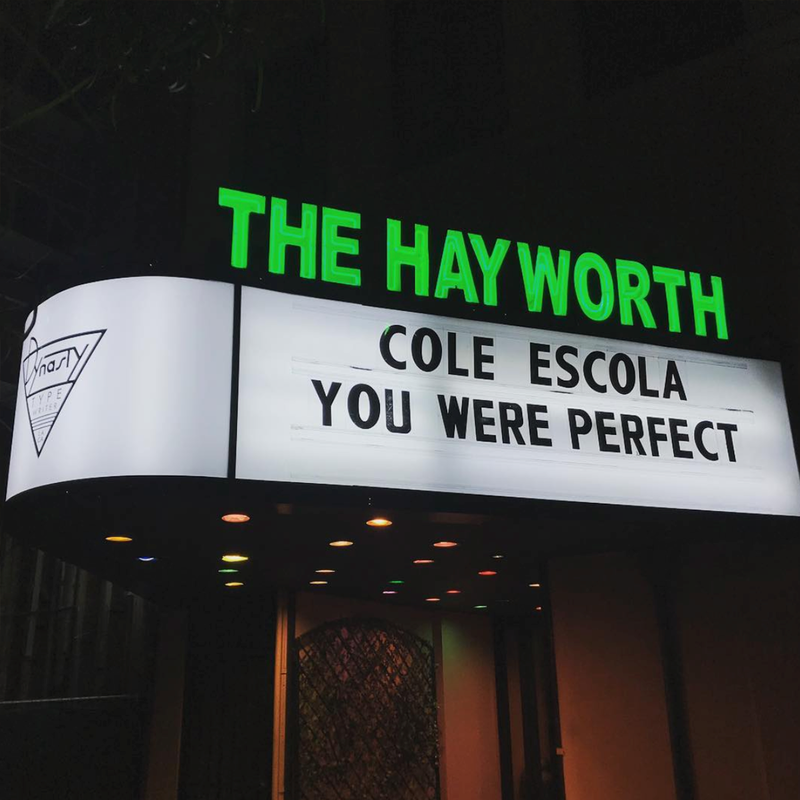 And then we had the extreeeeeme pleasure of a COLE ESCOLA run! We hadn’t seen Cole’s show, and as we sat in the back and watched his first performance in the theater we were so inspired and happy and excited for all the folks who had tickets to his six sold-out performances, and so happy that the Dynasty has become a place for artists to do such delightful things. Saturday we had a great GO DAY (mark your calendars! Next go day is May 4th! It's all, "May the fourth be with you!" Right #starnerds!? lol) and spent the morning in the folds of the Dynasty learning: breathing techniques (we felt so alive!) from Brian Neufang, how to create personality nuggets (we felt so unique!) from Barry McLaughlin, and eating FREE TOP QUALITY ICE CREAM (we felt so flarkin' HAPPY) from inspirational Van Leeuwen co-founder, Laura O'Neill. This week, we’ve got a heckuva platter of delights for you! 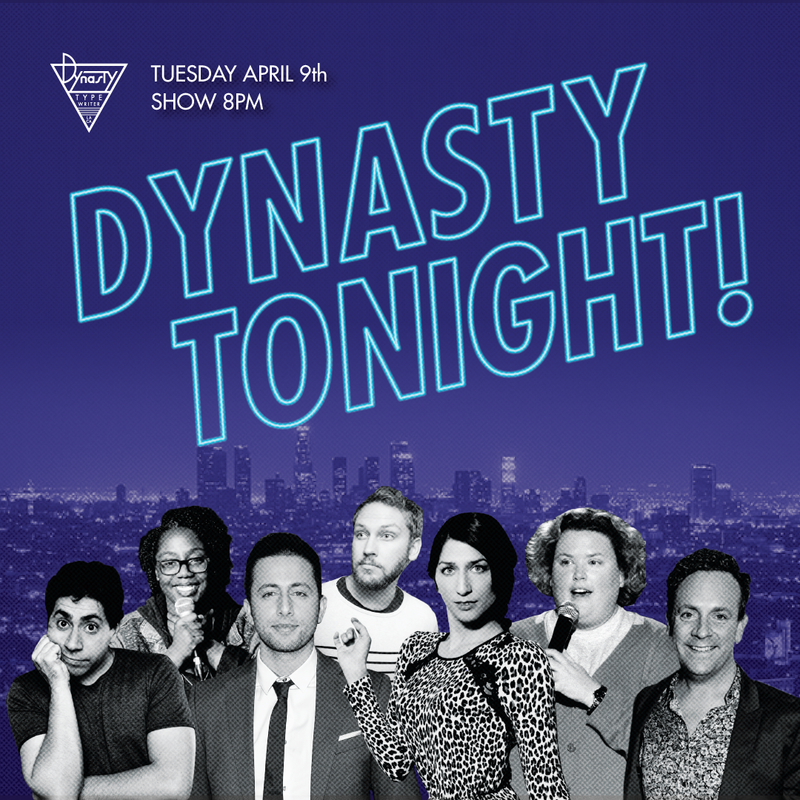 TONIGHT is DYNASTY TONIGHT with CHELSEA PERETTI, FORTUNE FEIMSTER, DREW DROEGE, FAHIM ANWAR, FELICIA FOLKES, DANNY JOLLES and generous sides of DynaPop & LaCroix for our LaCroinisseurs™. 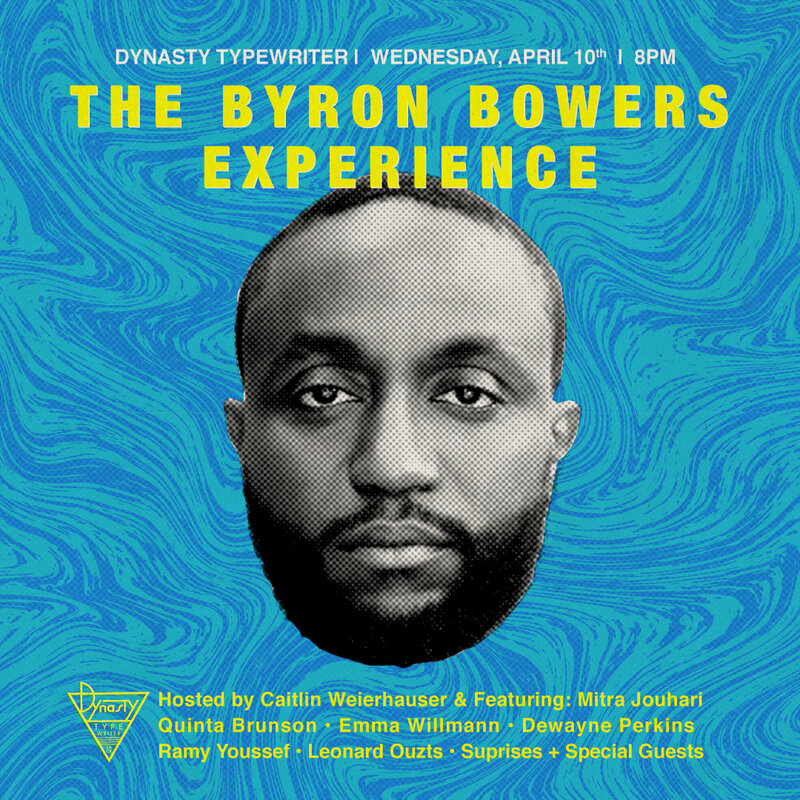 WEDNESDAY we are pleased to present the BYRON BOWERS EXPERIENCE featuring one of our favorite voices, the eponymous BYRON BOWERS and a lineup of hot thangs including: DEWAYNE PERKINS, EMMA WILLMANN, QUINTA BRUNSON, MITRA JOUHARI and MORE! Get your tickets and soak up all the coooool. THURSDAY we’re so excited to have TIM HEIDECKER, DAVE FOLEY and the SKLAR BROTHERS over for JOSH FRANK’s A Night At The Surrealists, a celebration of his new book Giraffes on Horseback Salad! 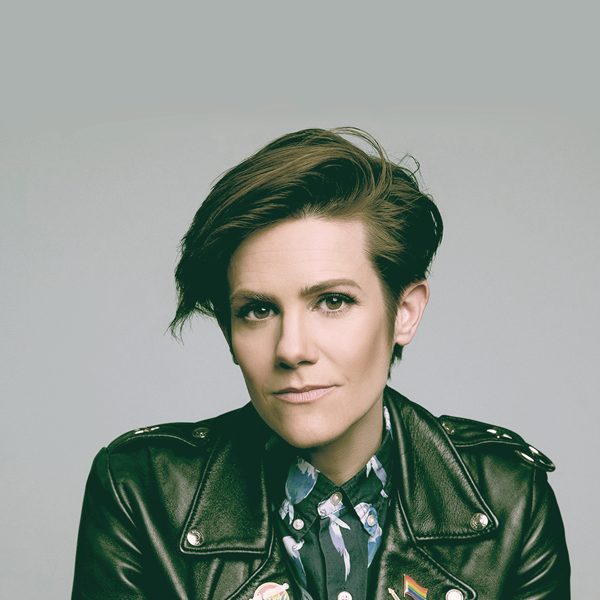 SATURDAY It’s a very CAMERON ESPOSITO Dynasty Tonight at 7pm followed by Wild Horses with the fabulous fillies STEPHANIE ALLYNNE, MARY HOLLAND, LAUREN LAPKUS, and ERIN WHITEHEAD joined by the comedian/actor/dancer pure-inspiration in a human form, ANGELA TRIMBUR! Come to all the shows! Wear outfits that make you feel good! Live with a type of moderation that embraces your choices; from the most modest to the most lavish! An evening of comedy and enchantment with a hand-picked line-up of favorites we just know you'll love. 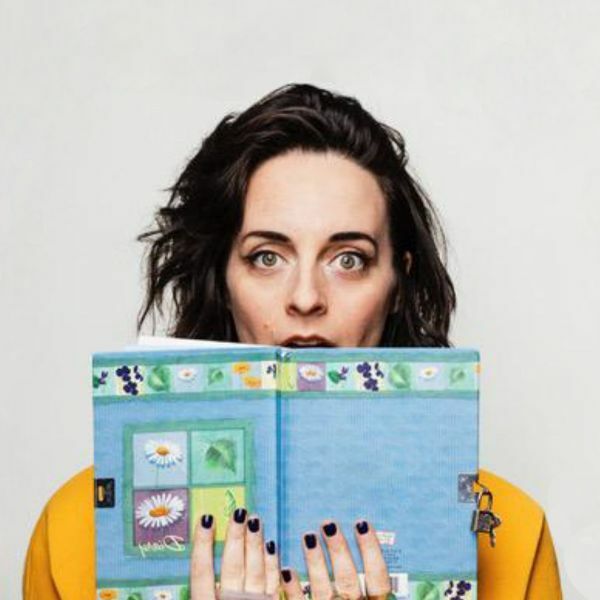 So come on over, get some DynaPop™ and delight in the talents of: Fortune Feimster (Mindy Project), Chelsea Peretti (Brooklyn Nine-Nine), Drew Droege (Chloë Sevigny), Danny Jolles (Crazy Ex-Girlfriend). Fahim Anwar (Goatface), Felicia Folkes (Comedy Central) and the host with the most, Kyle Ayers! Hosted by Caitlin Weierhauser and featuring: Byron Bowers, Mitra Jouhari, Quinta Brunston, Emma Willmann, and Dewayne Perkins. 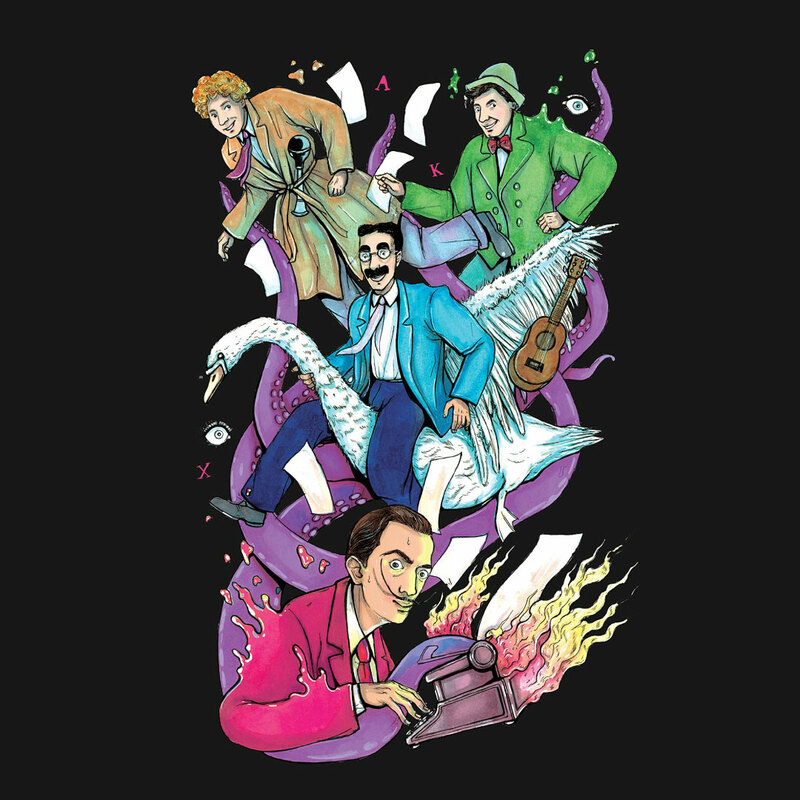 Music + multimedia journey through the adventure of bringing Salvador Dali’s lost Marx Brothers Movie back to life. 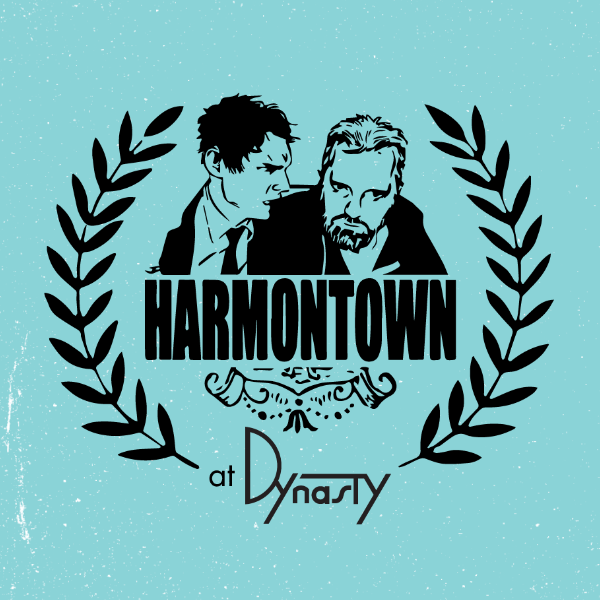 Feat:Tim Heidecker, Dave Foley from Kids in the Hall and The Sklar Brothers, + more! Dynasty Tonight presents a full evening with the iconic comedian and creator of the show Take My Wife. Experience the legendary long form improv team consisting of Stephanie Allynne, Mary Holland, Lauren Lapkusand Erin Whitehead. Featuring special guest: Angela Trimbur. Marquee Marq loved Cole too. How cute are these lil' Escola-heads?! 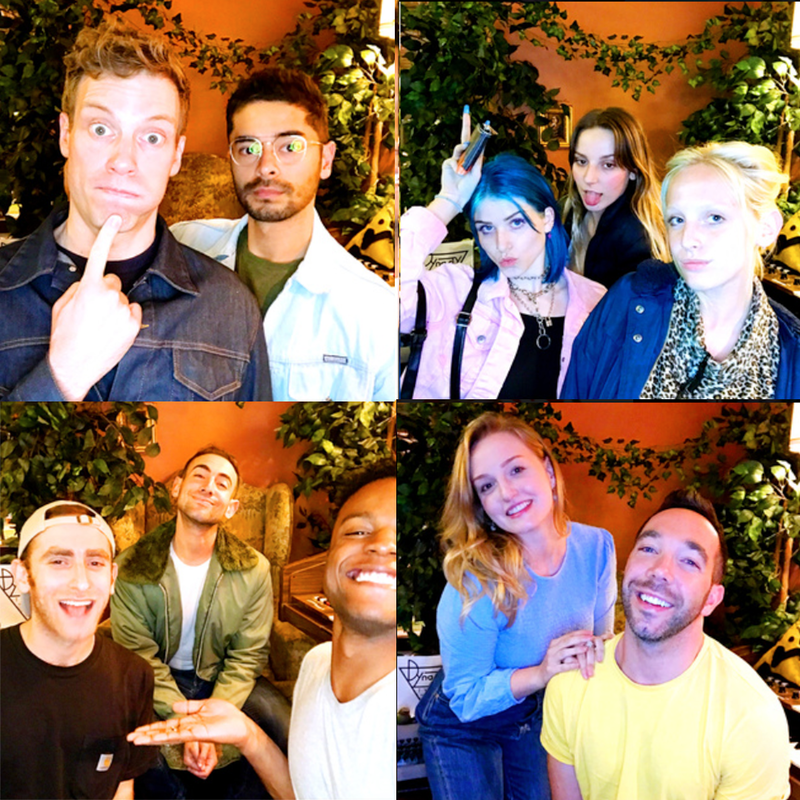 See the rest of the adorable darlings (and maybe even begin a missed-connection style love adventure) when you click through to the gallery! 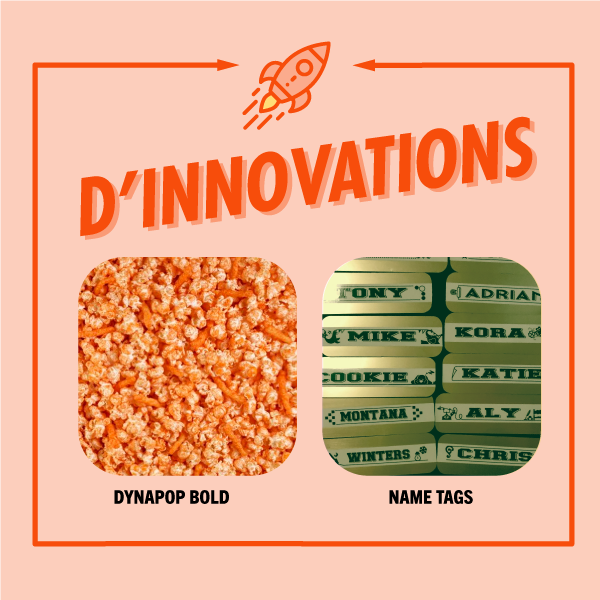 DYNAPOP BOLD! DynaPop just got hotter for the summer! We’ve taken some of our favvvvorite spicy-niceys, (chili lime kettle chips! Flamin’ hot Cheetos! Secret ingredient!) crushed 'em up, and gotten 'em ready to take your popcorn to the next HOT LEVEL! 🥵 Next time you pop…. GO BOLD ! CALL ME BY MY NAMEtag: You know when you’ve interacted with someone a few times and you like them and you feel like you should know their name but you don’t and now it’s too late to ask because you already sort of KNOW each other, and asking for a name is an admission of what might be your own social negligence. We don’t, we’re perfect. But for everyone else’s benefit, we’ve now gotten NAMETAGS for our staff! Now you can casually glance at the name tag, load the name, and say it as if you always knew it. Like the Good Lord intended. ALL HAIL HER! Join us for a Dynasty Tonight like none other! ALL ABOARD! We’re transforming the Dynasty from your favorite theater to your favorite runaway train themed partyscape. Whether you’re a toker, smoker, or a straight edge joker, we’ll have something for you. It’s the date night you need! The single night you deserve! The group party you don’t have to plan. Your conductor will guide your experience on Engine 420, on and off the rails! Just when you think we couldn't get more coo-coo for Team Coco they add MARIA BAMFORD and ANDY RICHTER to the lineup for their April 23rd show! 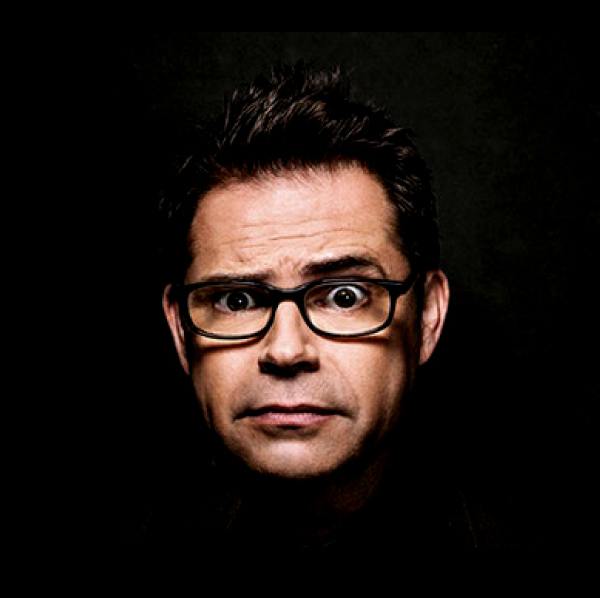 Comedians share their most private moments. Featuring guests Mo Collins, Ben Gleib, Brandon Wardell, Lizzy Cooperman, + More! Featuring guests Eddie Pepitone, Blaine Capatch, John Ennis and live music by Tom Kenney and the High Seas!